Say what you will about the Kardashian clan (and the Extended Kardashian Universe, as we’ve taken to calling their circle of friends and family), but they certainly have a knack for churning out adorable kids. Penelope Disick, daughter of Kourtney Kardashian and Scott Disick, proved that this week by showing off her first ever hair cut — one that looks more than a little like the ‘do sported by her Auntie Khloé. In a post on Instagram, mom Kourtney shared that it was the first time 6-year-old Penelope had ever had her hair cut. Wow. More than two million people have liked the photo of the youngster’s chopped-off locks, which she modeled while wearing a leather jacket that’s honestly cooler than 90% of what we currently have in our wardrobes. Mom Kourtney isn’t the only Kardashian, or member of the EKU, to share Penelope’s haircut on Instagram. It is, perhaps, not purely coincidental that both stars are rocking a similar style. That’s because celebrity hairdresser Andrew Fitzsimons, who’s worked with many members of the family, is responsible for both girls’ hairdos. 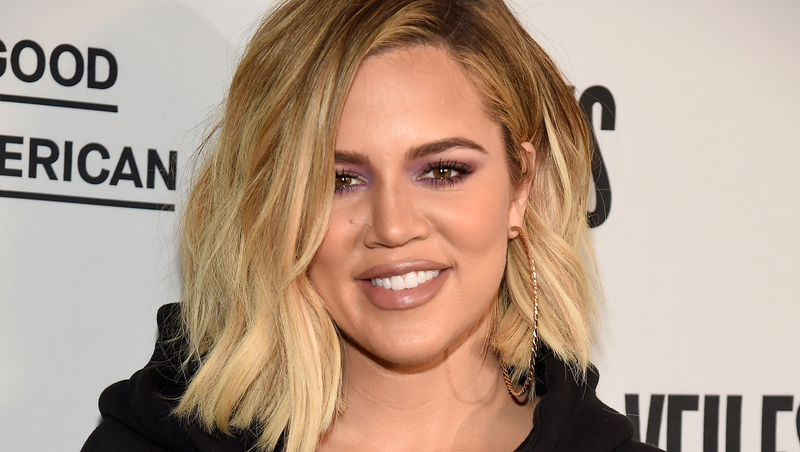 (He actually did Khloé’s hair over the weekend, before working with her niece on Monday).